Do wewe think they should redub Cardcaptors? mashabiki wanachagua: No! I like it better this way. Do wewe think over the series Li's feelings should have developed zaidi so the 2nd movie would make sense to new fans? Out of my juu 5 favortie episodes, which is your favorite? How would wewe picture Cardcaptors if it returned on TV au became available on DVD again? If wewe pictured yourself dating one of the characters, who would wewe picture yourself going out with? What new au "lost" cards would wewe imagine appearing in the series? It was a lovely siku out in downtown Reedington. Somewhere beyond the town squares, a large amusement park stood. It opened two months zamani and has sense become a huge attraction to everyone who lived near au far. In the nyumbani of the Avalon’s, Sakura was still sleeping. The crystal, clear sun beamed through the windows in her room. They blinded her as she slowly rose up from the bed. “What a beautiful morning.” She alisema while opening moving the curtains out of the way. She then looked down at the console on her window and smiled. She was staring at a beautiful, red rose. NOTE: The following story was written for a good friend of mine. I wanted to clear this in case you’re wondering. Thank wewe and enjoy. NOTE: This story was written exclusively for Halloween. I wanted to point this out for those who are asking. Thank wewe and enjoy the story. The couple left the ice cream duka and continued walking around together. Kasey was also giving Madison valuable information on dinosaurs and prehistoric life. hujambo guys , I'm back :) Sorry for the absence. This chapter may not be as good as my other ones because I was sick and was going through a few tuff times, also my computer laptop is getting fixed right now, so bare with me. :/ hope u like it anyways. 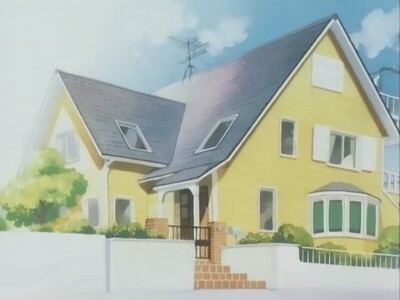 According to a Kero's Korner special, the house of the Avalon's was built in what event?